Scotland's director of rugby Scott Johnson said he was "gutted" in the wake of their 19-17 loss to France on Saturday. 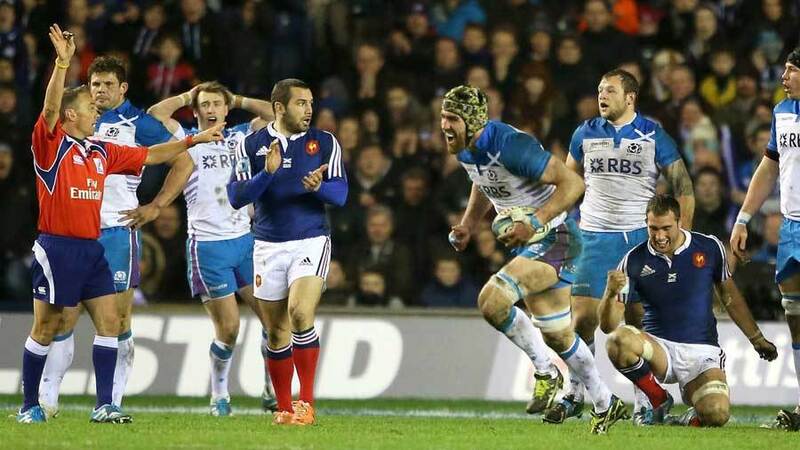 Scotland were on the wrong end of the penalty count and the scoreboard at Murrayfield with France striking late to keep their championship hopes alive. Heading into the final stages of the match, Scotland held a narrow one-point lead but a penalty given away gave Jean-Marc Doussain the opportunity to give France the lead with just a minute on the clock, a kick he duly knocked over. "We are gutted, absolutely gutted," Johnson said. "But this is part of the growing pains. We all get frustrated about a game we should have won. "There is no doubt about it - I felt we were the better team and we showed great resolve not to sink on the back of that penalty count. Instead, we dominated the contest but sometimes the scoreboard does not always reflect that. Those growing pains hurt." Johnson also bemoaned Scotland's penalty count, saying: "We are on the back of an 11-2 penalty count at half-time again. It was something similar in Italy. "We have got to look at ourselves, first and foremost. But two weeks on the bounce we have had huge differences in the penalty count. That swing is what I struggle with. There is just too many of these happening to us in important parts of the game." For France, Philippe Saint-Andre's men are still in with a shout of winning the championship when they host Ireland next Saturday and he claimed they deserved the win. "Sometimes just to win is nice," Saint-Andre said. "After four games we have won three games and lost one. Now we can have a final match against Ireland at the Stade de France with a title at stake. I must congratulate Scotland - they were fantastic. But my team carried out for the full 80 minutes and we got the win we deserved."